Assurance wireless is the program supervised and monitored by Virgin Mobile. Virgin Mobile is the company that provides lifeline services to its valued customers. The company provides these services to people who depend on the assistance and help of the government. 1. You Need a Valid Reason When Asking for a New Assurance Wireless Phone. Virgin Mobile comes with a platform intended for assurance wireless mobile phone service and assurance wireless phone upgrade. The bill of the repaired phone is at a discounted price per month as declared by the Federal Lifeline’s terms and conditions which became effective since 1995. 2. The Process of Replacing Assurance Wireless Phone is Easy. In the FAQ section of the official website for Assurance Wireless, the program says the replacement process covers lost and stolen phones. Once reported, the original phone will be deactivated. Then, a new phone will arrive at your doorsteps. You will pay for it at a low price, but the replacement phone can also be free of charge. When you have the replacement phone already, Assurance Wireless will reestablish the service, so you can enjoy the benefits once again. Assurance Wireless often completes the process of replacing a stolen or lost phone in just a few days after the owner reported the missing device. The FAQ section also says users can ask for a replacement phone when their old device shows a malfunction in the 1st year of use. Every new Assurance Wireless phone comes with a one-year warranty. However, users must still contact the customer support department for clarifications. Assurance Wireless phone users may also transfer their wireless accounts to choose Virgin Mobile devices from the default phone. However, the program encourages people to use the primary device to enjoy the best wireless service. In fact, the program introduces new handsets periodically, and it may depend on the availability. The program does not cover some smartphones. These include Party Animal, Blackberry, Super Model, Android, and iPhone models. Is the phone new? No. It can be a refurbished device or an old one that is still functional. The phones arrive in a service center where technicians will test, update them with the latest software, and upgrade them. The refurbished phone will be as good as new. No dents, scratches, or broken parts. When repairing and upgrading them is over, the phone should work efficiently just like the new device. Despite being a refurbished device, your replacement phone will still come with the free repair if there are problems. The number of waiting days will depend on the case. If your request is for exchange, your replacement phone will arrive at your doorsteps in 24 hours. In case of a stolen or lost phone, your case will be on hold for 24 hours. The company will advise you to try finding the phone. If you do not call or visit the provider’s website to cancel your request, the replacement phone will arrive at your home on the succeeding business day. The company will deliver the phone more quickly in case of web offer phone orders. You can cancel your request for a replacement phone only in case of a stolen or lost phone. You should call or visit the company website in 24 hours of placing your request when you got your misplaced phone. If you do it within 24 hours, then the company will cancel your request. Canceling is no longer valid outside the 24-hour window. 3. The Application Process is Hassle-free. When applying for assurance wireless phone replacement, your first step will be to get the application form. Once you have it, provide basic details, such as your zip code, name, address, and so on. You can access your approval status through your application form. The application form is downloadable. Also, you can send it in three ways. You can send the form via fax, email, or by phone. Throughout the application procedure, your eligibility for the program will be the most important matter. Make sure you are 100% qualified for that. The requirements associated with the qualification may differ from one company to another. It may also depend on the state, but the most common requirement is that you must be a government beneficiary. You’ll become a government beneficiary if your net income is lower than the listed poverty levels. A legitimate customer enjoys the package service that includes unlimited text messages, a free handset, and 500 minutes calls. You will receive these freebies every month. Likewise, there are different discounted plans that you can avail if you like to subscribe to more than 500 minutes talk time. The assurance wireless phone replacement program is recently available in around 41 states. However, the program is set to expand to more states. If you want to replace your old device, you must know first the qualifications based on your location, including the individual requirements. You will see these on the program’s website. 4. You Should Qualify to Lifeline Access Program. The government cares for the low-income citizens by providing social welfare programs which will help them in their daily living. These programs are mainly to empower them economically. These include housing assistance, Medicaid, and Food Stamps that helped a lot in improving the living standards of these people who are poorest of the poor. In the last few years, the Federal Universal Service Fund created several social welfare programs. It supported services such as the Assurance Wireless of Virgin Mobile and Assurance Phone Replacement. More than 295 million citizens in the United States now enjoy the benefits of Assurance Wireless. These services rarely exist in each location because they are only for qualified clients. They are not transferable, too. Such services are for geographical areas of residence all over the states. The Lifeline access program runs as the collaboration between the FCC or Federal Communication and the mobile network firms. 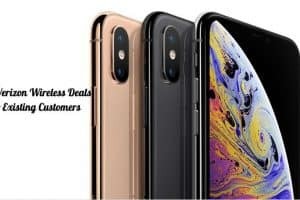 They work together according to the government agreement wherein the government will pay $10 for every assurance phone replacement offered to customers. The firm’s key investment stays to give mobile phones to new customers. The USF or Universal Service Fund and the USAC or Universal Service Administrative Company are the major sponsors of this program. The USAC plays the administrative role within this program. Through its initiative, the government can aid different assurance phone replacement services to citizens from the poverty-stricken backgrounds. 5. The Qualifications for the Lifeless Phone Program are Mostly Basic. Being a low-income earner will entitle you to this program. Thus, income level is the main determining factor for this program. When your income is below 135 percent on the poverty level, that means you are automatically eligible for this program. You should keep in mind also that the poverty line comes in different groups based on the state or city where you come from. Verify it with your state office to ensure your eligibility for this program. However, other requirements will still vary from one company to another. 6. Your Replacement Phone Will Come from One of the Leading 7 Mobile Companies. Assurance Wireless – this company is one of the leading free phone service providers. It runs under the Virgin Mobile. Virgin Mobile is a program that supplements the government’s free cell phone program. 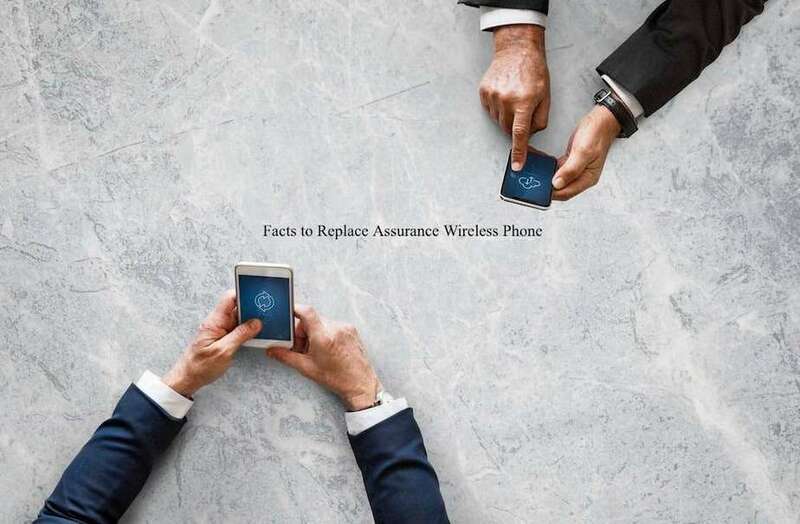 Assurance Wireless comes with the greatest network connectivity nationwide compared to other similar companies. Assurance Wireless is limited to providing its services to people living in California. If you are not from California, then you cannot take advantage of this special privilege. TrueConnect – TrueConnect is a small company with limited network connectivity. This firm provides its services to residents who are from Nevada, Kansas, California, Texas, Kentucky, and Missouri. TrueConnect provides services in the Assurance Wireless phone upgrade services. If you are a resident of Texas or California, this company can provide you great packages like unlimited text messages and talk time for 30 days. Safelink Wireless – this company has the biggest market for free mobile phones. Its program covers more than four million American citizens. It means Safelink Wireless does a legitimate role through providing assurance wireless phone replacement to customers. However, the company serves only the residents of California. In the application process, if the company learns you are from California then you will automatically qualify to the program. ReachOut Wireless – this company rapidly grows and reaches out to more and more people each day. The company engages itself mainly in the assurance wireless phone replacement program. ReachOut Wireless deals with different mobile phones like Motorola Droid 2, iPhone 4, Samsung A850, and HTC Droid Incredible 2. The mobile phones offered by this company are not the latest brands, but their quality and functionality are 100% sure. The only benefit of this firm is that its services cover most of the American states. ReachOut Wireless is among the most reliable assurance wireless firms since it serves a bigger number of citizens. Qlink Wireless – this company has mobile phones enriched with the basic features of touchscreen devices. The biggest benefit of these mobile phones is you can connect them to Wi-Fi hotspot services. You can use it together with your broadband data every month. Likewise, Qlink Wireless comes with several data package plans intended for those customers who have depleted their monthly limit. Verizon Wireless – Verizon is a popular mobile company founded in 2012. The company’s goal is to help people or families who cannot afford the regular communication with their families, quick response to emergency situations and answer the utility companies. The company grew rapidly. In fact, it turned to be the largest telecommunication firm in the United States. 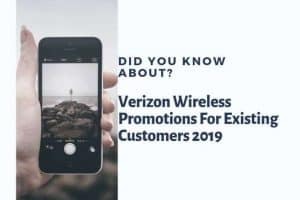 Today, several customers benefit from the services offered by Verizon Wireless as it provides well-covered assurance wireless replacement phones. Verizon comes with plans funded by the US government. Every month, the government pays them $9.25 for every package. The package includes both local and domestic calls. It also includes text messages. Verizon assists people to save their monthly income as it provides package plans which cater to their communication needs every month. Every user can save around $10 every month. Verizon provides its services in these states: Iowa, New York, Wisconsin, and North Dakota. Verizon deals with different challenges since its services are not extensive. The services offered by this company is absent even in some parts of those states where it should be fully functional. Verizon has the best coverage only in some counties. Therefore, you should check with your local state office and verify if Verizon exists in your area. Access Wireless – this company mainly provides access to assurance wireless replacement programs to all subscribers. Access Wireless offers different phone brands. However, the most common brands it carries include Samsung, Alcatel, Motorola, and ZTE. The company’s offer is not only between these brands, but the mentioned brands are more prevalent. Access Wireless also provides assurance wireless phone upgrades to all subscribers. 7. Only the Most Ordinary Handsets are Compatible with the Program. Different handsets are compatible with the assurance wireless. They are not the latest models around, but you can still get the best from their quality and functionality. Thus, they still look precious for those people who cannot afford the price of a new latest phone model. Older adults often find joy in using these mobile phones. 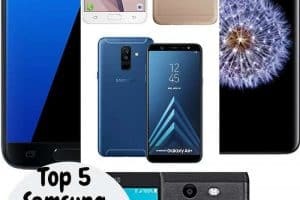 When your old device is defective or missing, most of the companies mentioned above will tell that you are responsible for the price of a new phone. Companies that deal with network coverage accept to sustain the refurbishment cost just for once. The phone user will take care of both the replacement and maintenance costs. The same is the principle applied to assurance wireless phone replacement. 8. The Process Implemented in Replacing Lost, Damaged, or Stolen Phone Differs from Company to Company. After verifying your eligibility to the Lifeline program, your next step should be to check the identification process in each company that issues assurance wireless phone in connection with the federal laws. There are several companies involved in Lifeline Access. These companies operate in partnership with the FCC to provide free mobile phones to families below the poverty line. There is just one restriction with a few of these mobile companies. Only some of them offer smartphones. Thus, if you want a decent mobile phone upgrade, you should find a company that can give what you need. 9. Look for a Good Package Suitable for Your Needs. The device itself is the 1st package. Whether it’s an assurance wireless virgin mobile or an assurance wireless replacement device, it will mark the first deal. Of course, your benefit is not only the phone. The broadband data, free calls, text messages, and other extras will be the supplementary benefit that you can get and enjoy under the Assurance Wireless program. Therefore, you should review different phones and the packages that come together with them. That’s how you can get the right phone and package for your needs. Likewise, the company giving the phones should be able to give a strong and stable network to all subscribers. Also, the signal should be strong enough, so you can make the most of the free talk minutes included in the package. 10. Government Phone Companies Offer a Very Basic Package. You can’t expect something like data allowance from an assurance wireless package. Instead, you will get only the basics. It is because your primary purpose for using the phone is to make calls, send text messages, and do other basic things. No internet surfing in most cases, except for smartphones which are available only in very few mobile companies. The benefit is that your assurance wireless phone is of good quality. However, you must never expect your phone to be one of the greatest in the market. Often, assurance wireless companies offer used or refurbished phones. They give users the chance to buy their preferred smartphone and bring the device to the assurance wireless program. They allow users to have the opportunity to upgrade their old phones with more advanced devices at a cheaper cost. They create a list of free smartphones as a choice for customers. Most customers go with the option of upgrading their smartphones at a small charge. This will require you to pay $20 up to $50 for accessing a government phone for free. Assurance Wireless is truly a great program for low-income earners. If you are new to this program and you want to avail, you may access the assurance wireless via the Lifeline Support program. This program will let you access the assurance phone upgrades, assurance wireless mobile phones, and assurance virgin mobile. To get the best possible offer, you must do your homework before you decide. Visit the websites of those companies that offer free government phones. Check their offers. Look for the list of devices they offer and the inclusions of their packages. This way, you can pick the plan and phone that best suits your communication needs. With adequate research, you can easily determine what mobile devices are well-matched with which firms. In checking the list of phones suitable to the program, you should check their features one by one including the terms & conditions implemented by each company when it comes to their delivery process. The packages available in every company that offers free government phones are rarely used as the temptation to entice the subscribers. The decision is still up to you. These companies may recommend some plans, but your choice is still the winner in the end. Also, you must be quite realistic. Don’t go for a package if you think that will be a little heavy to your pocket. You don’t need to sacrifice your needs, too. Instead, choose the package that will coincide with your budget and financial capacities. Make sure the package includes all your basic needs, such as unlimited text messages and more talk minutes. If you can spend some cash, you can possibly have a more decent, modern smartphone at an affordable price. The possibilities here are endless. You may get a better deal if you spend more time doing your homework. Keep in mind what you have learned from this page. That way, you can be more certain about your final decision. You deserve the best, and you can achieve that only when you do your part – research and careful selection.